Haas team principal Gunther Steiner has confirmed the team will be adding more pitstop practice time ahead of the Bahrain Grand Prix. 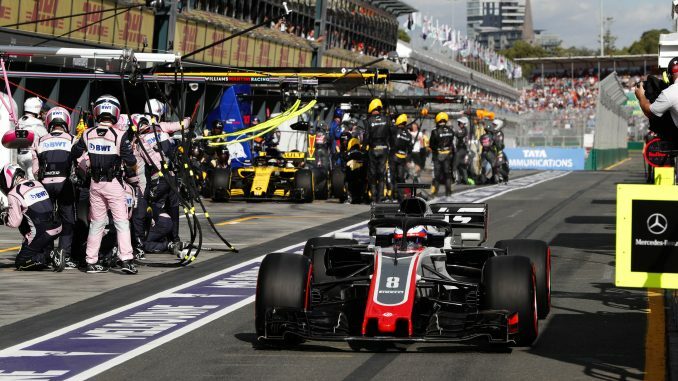 Kevin Magnussen and Romain Grosjean both retired from the Australian Grand Prix after being released from their pitstops with tyres that weren’t correctly fitted. The pair started on the third row of the grid and had been running 4th and 5th at the time. As a result of the two unsafe releases, Haas received two €5,000 fines. Speaking to the media after the race, Steiner admitted the team hadn’t done a lot of pitstop practice during FP1 and FP2. 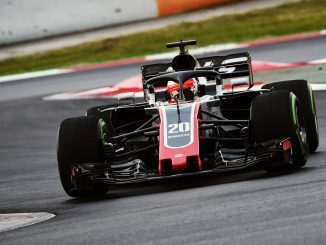 Haas had some problems during the practice sessions including a lack of spares for the weekend, which meant there wasn’t a lot of time to rehearse the stops. The problem was caused by cross-threaded wheel nuts. 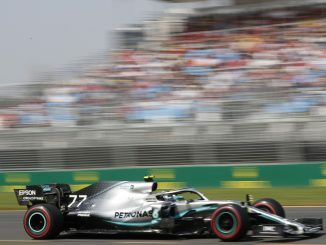 In both cases the mechanics knew there was a problem as the car was being released, but there wasn’t enough time to stop the driver rejoining the track. Steiner says Haas has the same wheelgun guys as last year in the pitstop crew for 2018, and that there were no such problems last year. Steiner hopes extra practice for Bahrain will allow the pitstop team to regain their confidence. He described what happened as a “freak incident”, and urged the mechanics to keep their heads up. Analysis to find out exactly what happened will take place and measures taken to ensure it’s not repeated. Despite the double DNF, Steiner insists Haas are in good spirits. The car showed strong pace all weekend, securing the team’s best ever qualifying. Magnussen’s 4th place would have been the team’s best finish, beating Grosjean’s 5th at Bahrain in 2016. 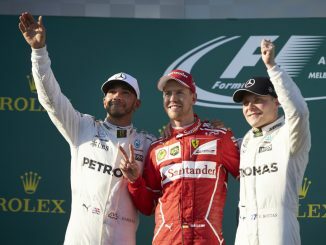 The result would also have been just their third double points finish, bettering the 8th and 9th the team secured in Malaysia last year. Losing such results makes the pitstop problems all the more heartbreaking for Haas, but the team seem confident they have a car that will keep them competitive throughout 2018.